3 Bedroom Apartment on the 3rd Floor (access by common stairs). Double air bed available for 2 extra guest (must select air bed option when booking). There is a bright living room TV and DVD. Well equipped kitchen and dining area for 4 (table extends and could therefore fit 6-8 guests, 4 additional fold up chairs in the cupboard). 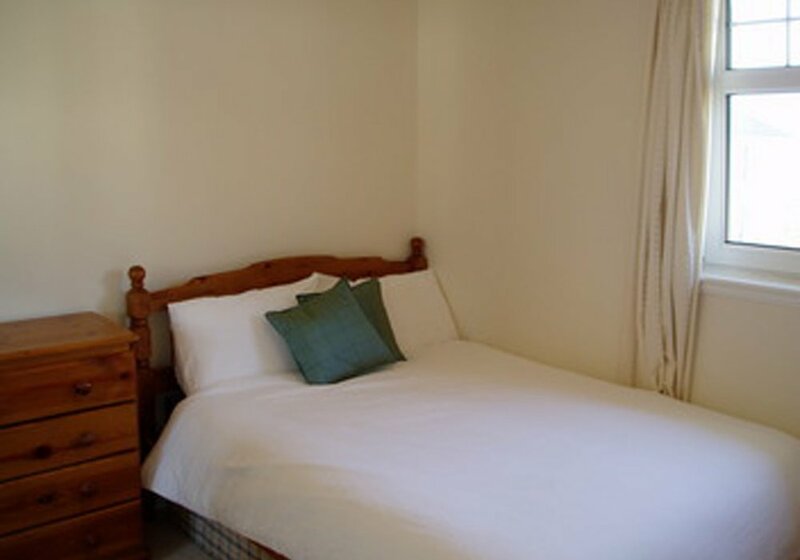 Main Bedroom with 1 double bed and ensuite (shower/WC). 2 further bedrooms with 1 double bed each. This flat was perfect for seven friends (three married couples and a single traveler) to explore Edinburgh, the Fringe, the Military Tattoo, and neighboring sites. The flat is cozy, with three bedrooms, a living area (with an air mattress that was well reviewed) and a small kitchen. There were just enough kitchen essentials for the seven of us to start our days off right with breakfast. 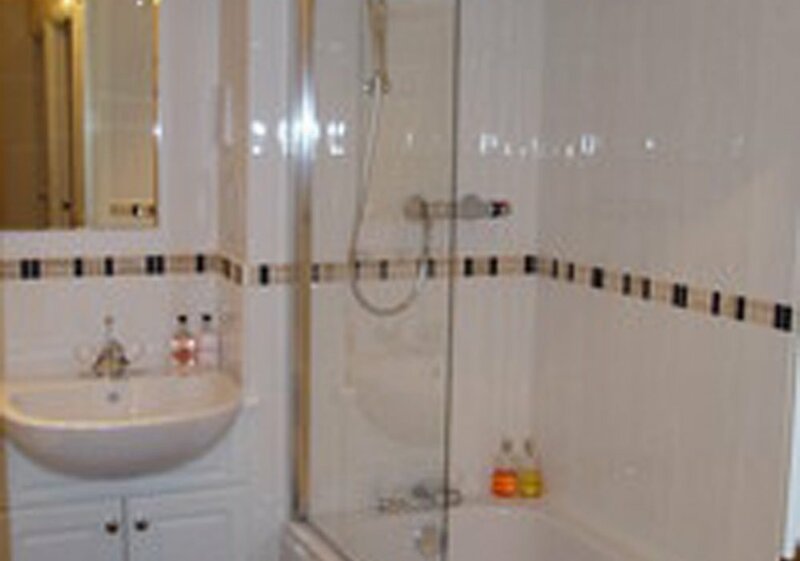 The flat also contains two bathrooms which, while small, were adequate for us to all get cleaned up as needed. The location, Haymarket, was convenient for walking into Old Town or utilizing the city bus routes to get about. All in all, a very good experience. The personal greeter was very sweet, timely, and took care to explain the essentials. The package of shortbread biscuits was a pleasant surprise as well. Pros: Location! Close to an excellent Italian restaurant, train station, and two grocery stores plus city transportation. Quiet (top floor) and relatively quiet neighborhood. Kitchen with combination washer/dryer (which was a tremendous plus for folks that travel light). Flat felt secure and was well maintained. Neutrals: It is an European flat, so no lift, small rooms, and smaller bathrooms. It met our expectations perfectly however. Cons: The beds are very creaky, and the mattresses were a bit uncomfortable, especially for two if us with back injuries. All in all we had a great experience, and will definitely consider this for future travels to Edinburgh. 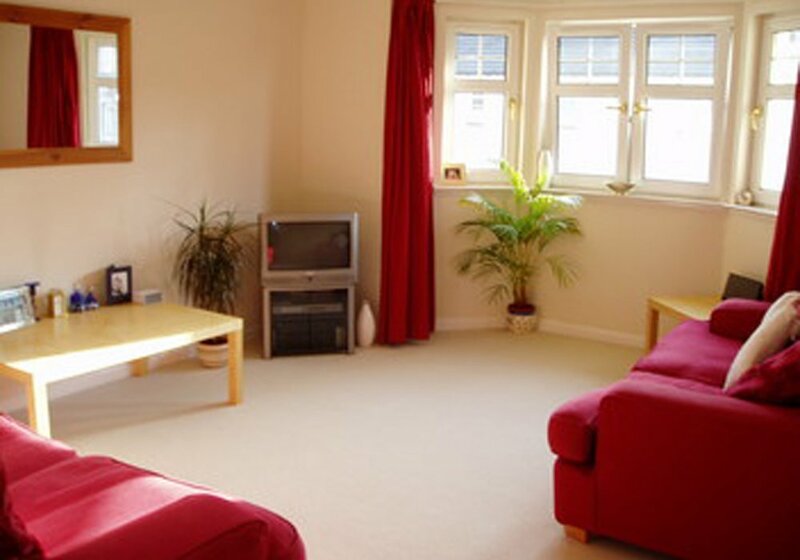 This flat is an easy 10 minute walk from Haymarket train station with lots of cafes/restaurants/shops on the way to stock up and it's also on the main bus route into Edinburgh so easy to get around. The property managers (Ed flats) were really helpful when hit a minor snag and available 24/7 to help. The beds are comfortable, kitchen fully equipped and lounge spacious. It is slightly 'tired' i.e. lived in, but it's great value for money given the easy access to town and we'd booked very last minute for the fringe festival so we were pleased. It was half an hour's flat walk to Grassmarket if you are heading that way for a number of the fringe venues. Easy access to the centre of Edinburgh with very frequent buses. Clean, well presented apartment. On arrival, we were set up with enough food, milk, bread etc. so no need to shop.Would book again. The flat was clean and tidy and was a great base for our best friends' wedding. The free parking was very handy and the arrival supplies were an added bonus! I would definately stay at the flat again and would recommend it highly! The flat was clean and comfortable, white linen on the beds, flowers on the table . The landlady was welcoming, friendly and helpful. Mostly it was well equipped, but no wine glasses .... and some new mugs would be good! A group of 7 of us stayed for a long weekend and the flat was just what we needed. Simple, clean and in close proximity to everything we wanted to see. Just a 15 min stroll to Princes St and 20 mins to the Royal Mile. Cabs were easily ordered for when we were feeling lazy and also very respectable pricewise. Plenty of local pubs and restaurants nearby too serving some great food (Have to recommend Chop Chop chinese restaurant - was absolutely fantastic and 5 mins walk from the flat). All in all a great little place to stay for such a good price. Would highly recommend. Very pleasant welcome from owner. Flat has all the necessary requirements for a comfortable stay in Edinburgh. However it was only upon arrival I was informed it was a student let during the year. This was evident in the tired decor + uncomfortable beds. Convenient to shop, 10 min walk to airport bus. Execellent flat and Sophie was also very helpful. Flat has just what one needs. Thank you everything. excellent value for money good location really nice to have some groceries/wine in the house on arrival very clean and well presented property would thoroughly recommend a stay here!! From the moment we were met by the owner of the flat we felt like we were home. The flat was spacious and warm and was well equiped. There was a nice welcome pack and a bottle of wine! What more could we ask for. There were 5 of us staying over the weekend and we had plenty of room. We found the three flights of stairs a good way to exercise and there had been excellent information in the flat and in correspondence with the owner about the local area, places to eat and visit. 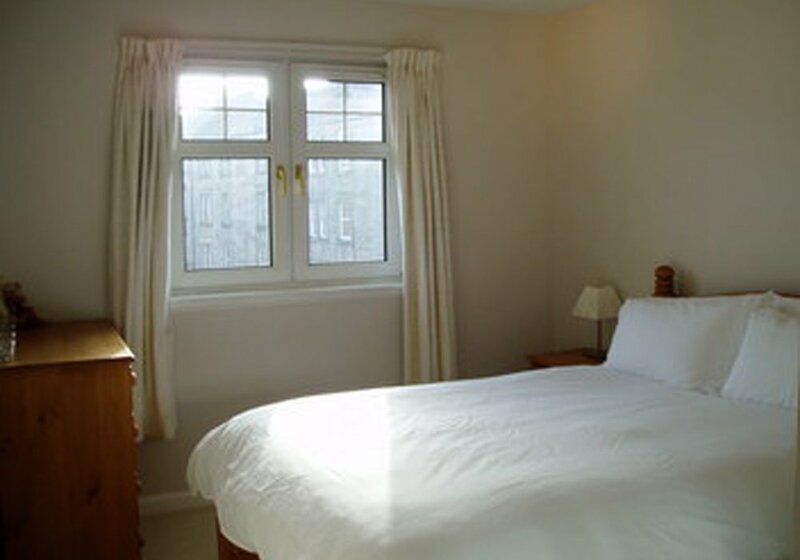 We were within easy walking distance of the main tourist areas of Edinburgh and for Inverleith Park where we started the Moonwalk(our reason for the weekend visit)We cannot wait for next year when we hope to return and would love to use the flat again. Highly recommended. The whole process of booking was easy and hassle free. Well done to everyone involved. Apart from the dreadful weather we couldn't have asked for more. 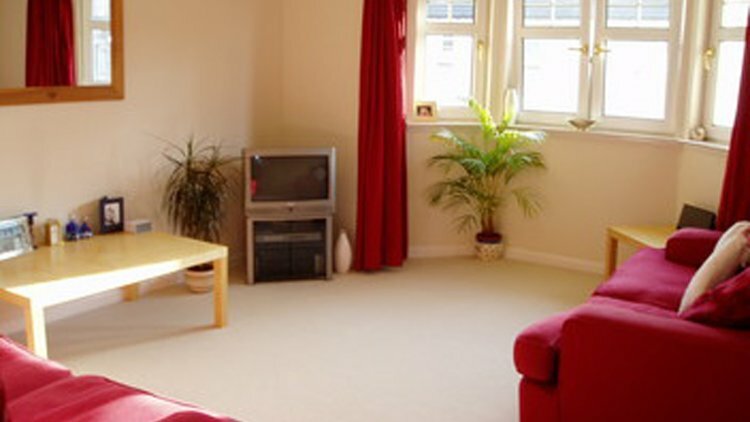 An excellent apartment in a very central area which suited us greatly, would certainly use again! We really enjoyed our stay. Near Haymarket, we were away from the centre but only a few minutes on the bus (we got a weekly pass for our stay)With Lidl and Co-op close by, and Sainsbury's and tesco a little further away, it was perfect. Once again, Edinburgh flats came through and found us a place perfect for our needs and budget! Thank you! 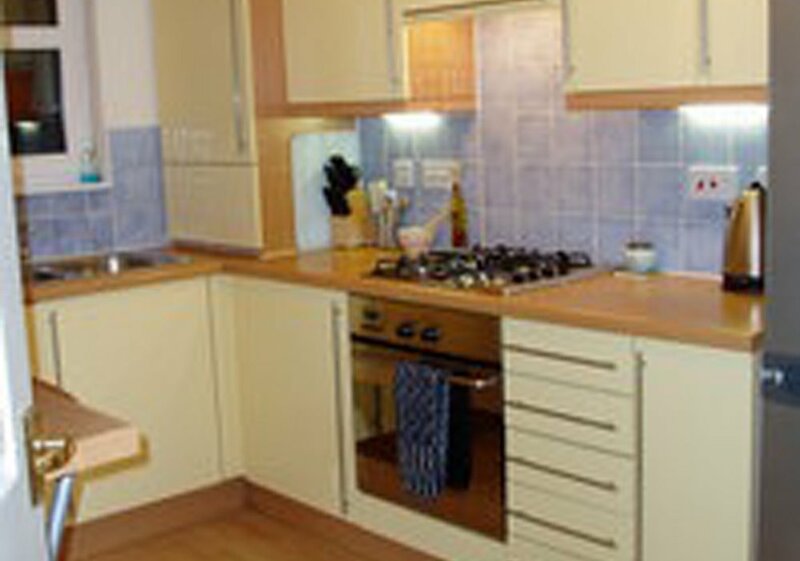 Very good flat with good follow ups from owner. We stayed at an apartment in Duff St for the weekend as we were going to see the Kings of Leon at Murrayfield. The flat was only a 20 minute walk from the stadium, so this is well recommended. Also it is only a 5 minute walk from Haymarket Train Station so again this is an excellent location. There are loads of places round about this area to keep you entertained. The flat itself is very well maintained, the room sizes were very good (there were 6 of us staying in this apartment), Sophie the landlady was very nice and very helpful. All in all would definitely book to stay here again. Modern,clean and quiet. Overall was a pleasant.